In Jetbroadband WV, LLC v. MasTec North America, Inc. (3D08-3057), the Third DCA held that "pursuant to sections 685.101-.102, Florida Statutes (1989), parties to a commercial contract can, by agreement alone, confer personal jurisdiction on a Florida court." "Rather, to determine whether long-arm jurisdiction exists, two inquiries must be made. First, a court must determine whether 'the complaint alleges sufficient jurisdictional facts to bring the action within the ambit of [section 48.193]; and if it does, the next inquiry is whether sufficient ‘minimum contacts’ are demonstrated to satisfy due process requirements'." "Generally, an agreement alone is insufficient to confer personal jurisdiction on Florida courts. McRae v. J.D/M.D., Inc., 511 So. 2d 540 (Fla. 1987). Decided in 1987, McRae addressed only section 48.193 and determined that "[c]onspicuously absent from the long arm statute is any provision for submission to in personam jurisdiction merely by contractual agreement." Id. at 543. The parties to any contract, agreement, or undertaking . . . in consideration of or relating to any obligation arising out of a transaction in the aggregate not less than $250,000 . . . may, to the extent permitted under the United States Constitution, agree that the law of this state will govern such contract . . . whether or not such contract . . . bears any relation to this state. § 685.101(1), Fla. Stat. (1989). However, there are limits to the reach of section 685.101." See § 685.101(2), Fla. Stat. (1989)..."Otherwise stated, section 685.101 "only applies if either 1) the contract bears a substantial or reasonable relation to Florida, or 2) at least one of the parties is either a resident or citizen of Florida (if a person), or is incorporated or organized under the laws of Florida or maintains a place of business in Florida (if a business)." The language of the statute is clear. By promulgating sections 685.101-.102, the Legislature allowed contracting parties to dispense with the more restrictive Florida long-arm limitations...In section 685.102, the Legislature, by its clear terms, granted parties the very right that McRae and its progeny found conspicuously absent in section 48.193; the right to confer personal jurisdiction by agreement. However, the Legislature could not, and did not, dispense with the due process requirements of the United States Constitution. Instead, it made the due process requirement the sole inquiry when considering the issue of personal jurisdiction in cases governed by sections 685.101-.102. Therefore, we must still determine whether there are minimum contacts sufficient to justify the trial court’s exercise of jurisdiction over defendant. 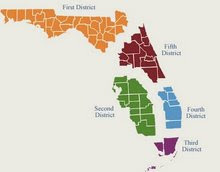 Accordingly, under sections 685.101-.102, the parties properly conferred personal jurisdiction over each other in Florida. We affirm all other issues on appeal.